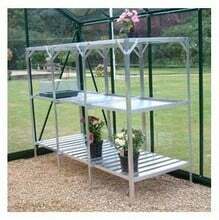 Our Aluminium Greenhouse Staging is freestanding, incredibly strong and this three tier version provides ample growing space, perfect for the amateur or professional greenhouse. Our greenhouse staging is freestanding, aluminium, incredibly strong and when space in your greenhouse is getting short, this three tier version is the answer! 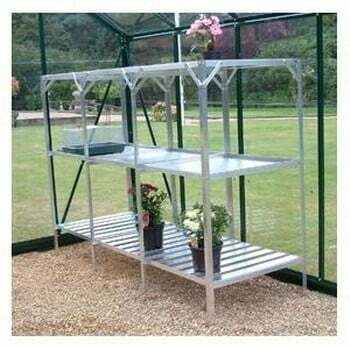 The three tier greenhouse staging - standing 122cm/48" in height - provides both the amateur and professional greenhouse with a top level workbench and two lower tiers of growing and storage space - and when you consider we've designed these greenhouse staging units ourselves and manufactured them from anti-corrosive aluminium, you can be sure they'll be a big part of your greenhouse growing set-up for years to come. 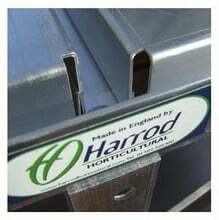 The trays supplied as standard with our greenhouse staging units are safety edged and double-folded, giving extra strength and ensuring there are no sharp edges. 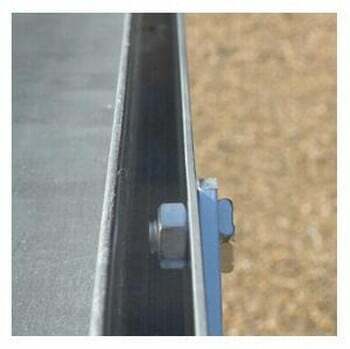 We've also got 5.5cm/2" aluminium slats available - 6 of which replace a tray - which allow air to flow around lower tiers and are very popular when these levels are being used for growing and raising plants in seed trays. The greenhouse staging is available in various widths (between 46cm/18" and 91cm /36") and lengths (59cm/2' to a whopping 343cm/11'2"). 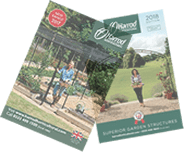 We also supply single tier and two tier staging units; simple to put together, our greenhouse staging is supplied complete with an assembly instruction booklet. Please note: Top Tier is supplied as Trays and the lower 2 tiers are either slats or trays depending on which you select above. 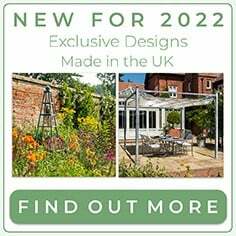 If you want a combination of Trays and Slats that you can't see on the page please email our Customer Service Team or call 0333 400 6400. Great piece of kit. Compared to my previous staging this is a Rolls Royce. Good well engineered parts that went together really well. Cannot fault this at all. 1. How many slats do you get with each section? 2. 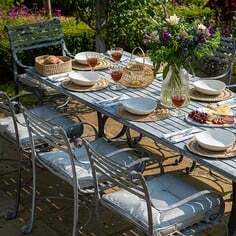 What are the advantages of having slats rather than trays, and vice versa? 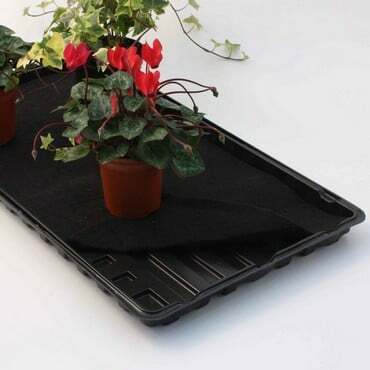 Having the ‘lift out’ trays allows the removal of plants for ‘hardening off’ outside. They are also designed to be fitted into a wide range of seed trays, for working on. The trays can be turned over to give a flat working surface, or shelf. Slats are the preferred option for using, as a layer to hold grow bags. 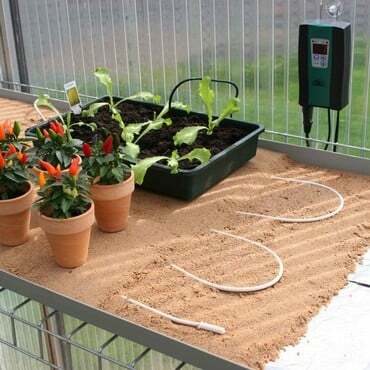 They allow easy watering and improve air circulation, which in turn prevents ‘damping off’, and disease. 3. Do you supply the staging in a colour? We have discontinued the green staging due to lack of customer demand and now only supply in the natural aluminium finish. 4. Are the slats and trays interchangeable? If your staging has 3 tiers, the slats/trays on the 2nd and 3rd tiers will be interchangeable, but the top/1st tier cannot be changed. The slats/trays on the top/1st tier are made slightly larger than the other tiers because they need to sit on a top support bar that runs along the inside of the staging. The 2nd and 3rd tier does not have this particular support bar. 5. What tools are required for assembly? You will only require a 10mm spanner, or 1 per person, depending on how many persons are assembling the staging. 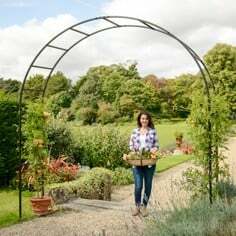 Prior to assembly, it is advisable to check that you have received the correct parts, and see how wide your greenhouse door is, so that you know whether to erect it inside or outside the greenhouse. 6. Why is there a large gap around the outside of the trays, once they’re placed onto the staging? This gap is to make it easier to lift the trays from the staging whilst wearing gardening gloves. 7. Can I purchase extra slats/trays? If you would like to place an order for any of the above please call our Customer Services Department on 0333 400 6400 (local rate). 8. Do you offer an assembly service? At the moment this is not something that we can offer. However, with the new and improved instructions for assembly should make it simple. However, If you do experience problems, please email our Customer Service Team with any photos and details of the staging problems or call 0333 400 6400 (local rate) to speak to our Customer Services Team. 9. How easy is it to clean my staging? 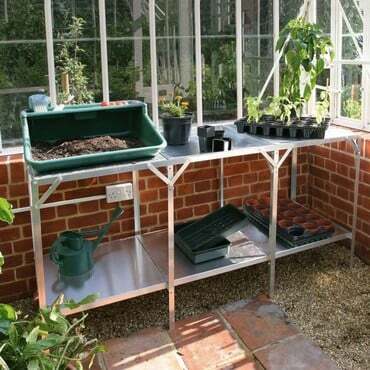 The greenhouse staging is very easy to clean due to the removable slats and trays. To clean the staging, simply hose down with warm water. If you would like to use a product, a greenhouse cleaner or disinfectant, such as our Concentrated Greenhouse Cleaner (GRE-454) would suffice. 10. What is the maximum weight that the staging will withstand? Will the order of slats or trays make a difference? The strength of our greenhouse staging has been tested by our technical design department for weaknesses, by using compost bags, these being the most relevant object to use. The team found that each module will hold up to 77kg; a module is the area between each upright. 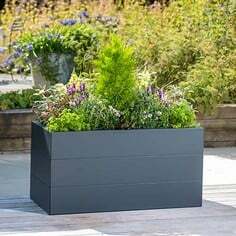 Whether the staging has slats or trays, it will hold the same weight, which should be more than enough for the average gardener. 11. What is the distance of each level from the ground? 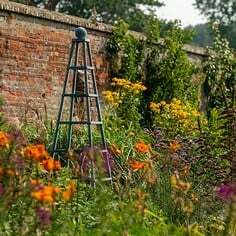 1 & 2 tier; the top shelf is approximately 81cm from the ground, the bottom shelf is 11cm from the ground and approximately 60cm from the top shelf. 3 tier; the top shelf is approximately 122cm from the ground, the middle shelf is 71cm from the ground and approximately 51cm from the top shelf, and the bottom shelf is 21cm from the ground and 50cm from the middle shelf. 12. 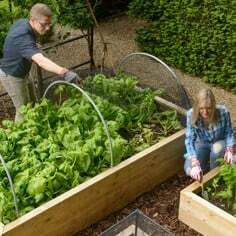 Can I use the staging without bottom trays or slats? 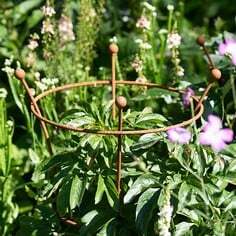 The staging can be used without the bottom trays or slats, however it will need to have the horizontal supports to keep the frame taught and secure. 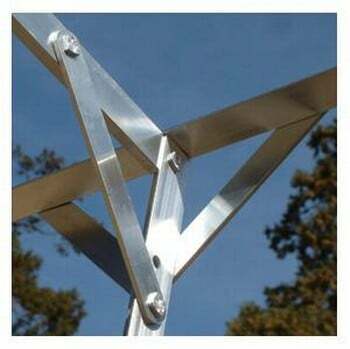 Without these supports, it would surely collapse.